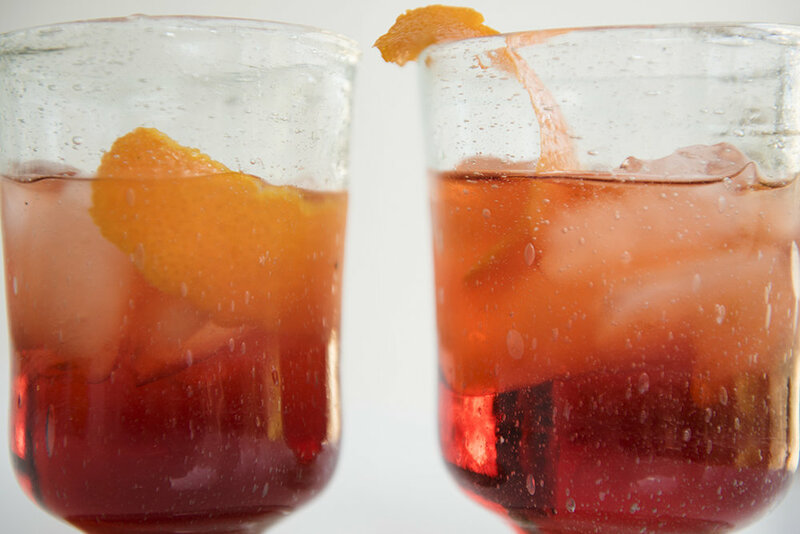 I'm having a major love affair with Campari these days...the crisp and bitter punch of flavor is the perfect antidote to a grey winter day. 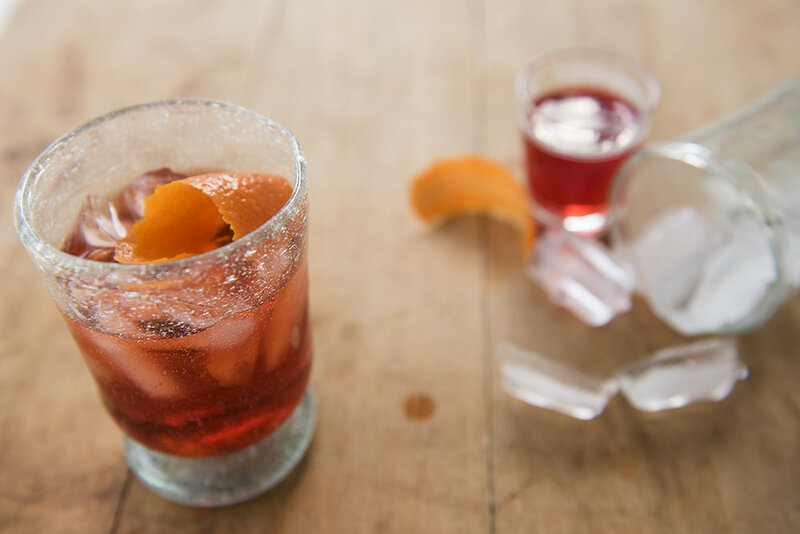 A splash of Campari topped with seltzer is a lovely little aperitivo to whet your appetite while you cook up something warm and cozy- but my cocktail of choice, when it's time for something more festive, is a negroni. It's uniquely bitter and citrusy and bright - and editing the images from this recent commercial shoot has me counting down the days til Friday. Cheers! Combine the ingredients in an old-fashioned glass filled with ice. Stir well until chilled, twist a thin piece of orange peel over the drink, for aromatics, and use the peel as garnish.